day on my mind and fall to sleep the same way. them a debt that will never be repaid. Semper Fi. website. Please keep it up. time and effort have been put in this site by all. Thank you Butch from the bottom of my heart. Corpsman Jerry Collier was and still is our hero. my brother HM3 Jerry Lamayne Collier 2-7-68. B Co 9th Engineers U.S.M.C. privileged to serve with one of you today. Thank yu for your service and sacrifice. the bravery and sacrifices can be remembered. doing to keep our country safe. recognized as they should have been. viewing in every high school. My son returned from Iraq last year. Road to the Graveyard was happening. 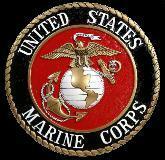 Marines. They are the heroes. I take great pride in registering on this website. of my Father in law who made it possible. from a time long ago in a far away place. special "spaghetti" dinner. We were his men. Hedlund "Swede", Collier "Doc", Robbins "Sgt. find as much gas as possible. is a major story that is only now being fully told. appropriately honored (if not yet so done). the tragic loss of his wife Maggie. event took place on the 7th of February, 1968.
accurate or inaccurate as it might be.